Developer Matthias Kock published Tilt EQ, a free tilt equalizer. Tilt EQs are meant for simple frequency adjustments, such as adding more top end while diminishing the bottom, or vice-versa. It’s like a tone control, of sorts. Probably not something many of you are looking after, but a nice tool to have for mastering. This particular plug-in has a single knob for linear tilt adjustment, four frequency correction controls, and a Trim knob. There are no fancy graphics or animations and such, but it’s not like an EQ this simple needs them, anyway. Start with small adjustments and see how these work out with your tracks. 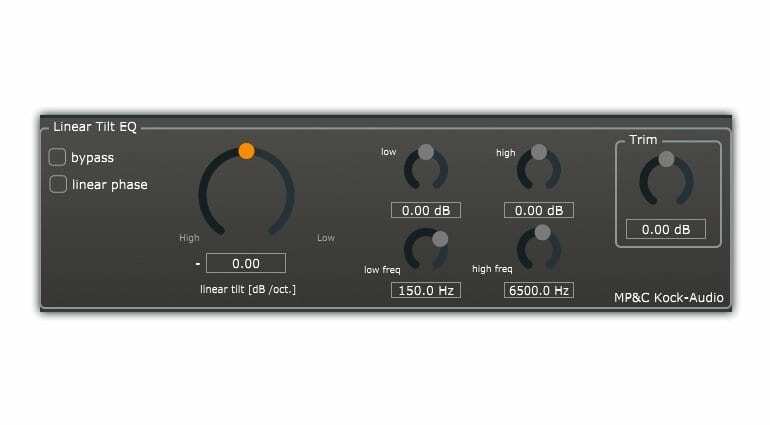 Tilt EQ is available for Windows and Mac computers in VST and AU formats. 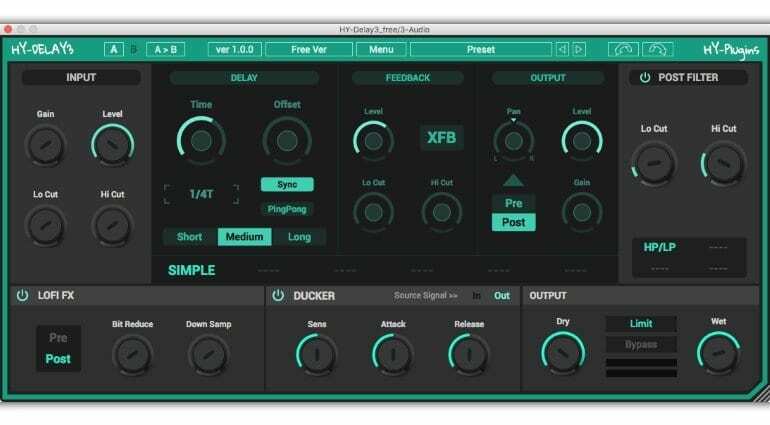 Well-regarded plug-in developer HY released a brand new delay effect, available in free and paid versions. The free version gives a fairly complete and useful taster of the 40 USD plug-in. The former includes 1 delay mode and a lo-fi effect, but leaves out the modulation possibilities and multi-effects part of the latter. Still, the free HY-Delay 3 is a big ol’ delay with sync and ping-pong modes, elaborate time and feedback controls, a LP/HP filter, and a “ducker” that works as a side-chain compressor. For a free delay, this thing’s a beast! The paid version expands the effect’s possibilities with 6 delay modes, 4 filter modes, 2 modulation signal generators and 4 types of modulation, 2 multi-effect slots and 22 effect types. Sounds like an upgrade to a powerful delay that’s well-worth it! HY-Delay 3 is available for Windows and Mac computers in VST and AU formats. Plug-in maker Overloud and plug-in store Time+Space partnered up to deliver a rockin’ free guitar simulator. 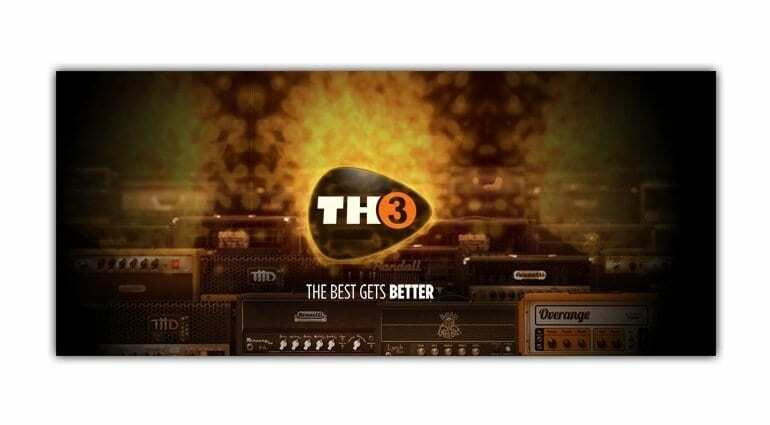 Overloud TH3 Free Edition features a substantial sample of the complete TH3 guitar amps and effects simulator. There are 3 amplifier and 3 cabinet models, 4 effects, 2 microphones, and 15 ready-made presets. The plug-in supports 3D gapless positioning of microphones and room simulation so that you can coax a reasonably realistic guitar sound out of it. Overloud TH3 Free Edition is available for Windows and Mac in VST, AU, RTAS, AAX, and standalone formats. Not much of note happening here. It’s a nice free flanger with an analog feel that gets the job done with as little as three controls – depth, output gain, and feedback. 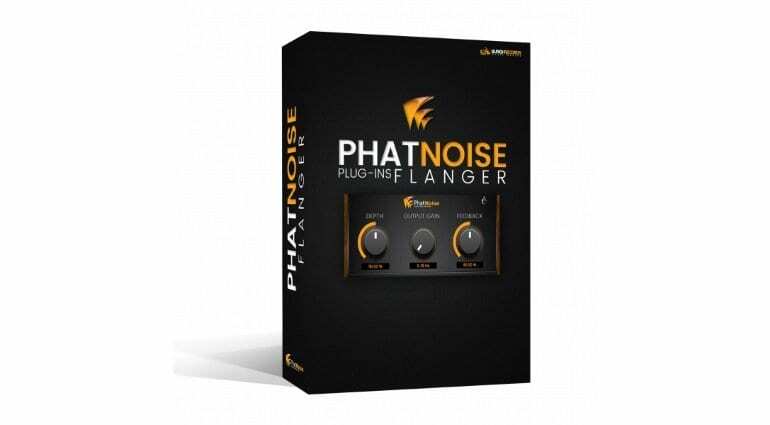 If you are tired of the one that comes with your DAW or feel like experimenting with something different, the PhatNoise Flanger is one free download away from reaching your projects. 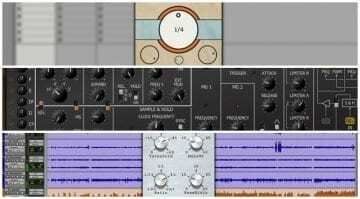 The plug-in is available for Windows computers in 32 & 64-bit VST formats. 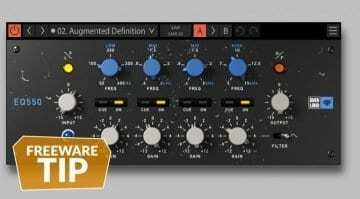 Get Overloud’s new EQ550 plug-in for free until March 18! 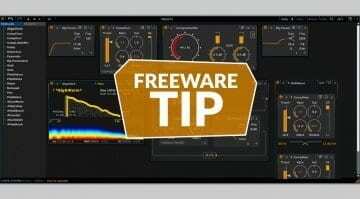 Free plug-ins this week: a delay, synthesizer, and three more useful tools!